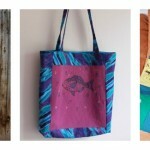 This is part of a week-long Tips & Tricks series for National Sewing Month. Don’t forget to enter the Grand Prize Giveaway! We all need clothes that fit well in order to dress for success in our everyday lives. Thankfully, sewists can make clothes to fit their exact measurements. This eliminates the pulling, stretching, pinching, bagginess, and unflattering silhouettes from store-bought, factory-sized clothing. (After all, you weren’t made in a factory!) If you know how to sew for your body, every outfit is tailor-made. It can be challenging to sew for a curvy body type when many sewing patterns call for straight lines. But never fear! With the tips we’ve gathered here, you can make more informed decisions on cut and style before you start a sewing project. Before you start on any clothing pattern for yourself, know your current measurements for bust, waist and hips. This means busting out the tape measure and making notes of your measurements for reference. Check out this guide on how to take body measurements. Keep in mind that for women, size can fluctuate throughout the month, so you may want to give your garments a little breathing room. Learn how to cut a pattern in your size. Garments tend to come in the same basic styles, and knowing which styles flatter your body eliminates the guesswork. Once you know the shape of the garment you’re making, take the fabric into consideration. Would a stretchy fabric make the cut more flattering, or would you want a less clingy fabric? Mid-weight cottons are a great option for most sewing patterns but you might want to consider a knit fabric or something with more weight, depending on how you want the garment to fit. Today’s Question: What are your sizing tips? My best sizing tips is to measure the body part twice to be sure you’ve got the right measurement. Then when cutting the fabric pieces, I make sure I add a bit extra to those areas where I’ve increased the measurement. I’d much rather have too much than too little! My best advice is to always use the same tape to measure yourself. Some tapes stretch and if you use a different one your measurements might be off when you measure again. I love this blog! 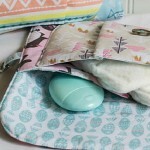 You make sewing so fun and easy. I am a young, fairly new seamstress so I mostly soak up your advice. However, I would say for someone starting out: Don’t give up. It may be challenging at first but with a blog like this, you will feel motivated to do anything! I think making your own dressform in your exact size with duct tape is the best way to make sure that the clothes you’re sewing will fit. Thank for sharing this giveaway! Before I ever sew a seam I do a pin mock up of the pattern pieces to see a general “how does it fit” then I retest the fit after each major sew together. I have saved myself alot of ripping out by doing the mock-ups. Tip: be born with a perfect figure! Not Possible? I know, I am far from perfect. (FLUFFY?) Craftsy classes help a lot, and making a muslin of your design will save your good fabric. Sandra Betzina’s classes help a lot, too, and she and Ron Collins, with whom she does her on-line classes) are a lot of fun together. fitting is why I almost gavup sewing garments! The only way to get a good fit is to have a friend help me fit a muslin. In a pinch I will use a well fitting ready to wear garment from my closet as a guide. For me sizing is a continued learning project. My method is pre measure the pattern pieces and review the measurements of my body. Sometimes I find it to be a hit or miss. But the best part is I can improve each day I sew and learn. Thank you. Remember that just because yo know what adjustments you made the last time you sewed a pattern… that doesn’t mean the next pattern needs the same adjustments. Sizing varies from brand to brand, and some styles are more forgiving than others. Measure EVERY time. 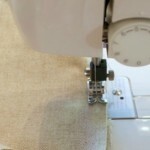 I really love the all free sewing site for how tos and tutorials. they come in really handy for especially beginners and I link all my new students to them. The only complaint I ever get is that you cant use “Print Friendly & PDF” browser plug in directly from the all free site. You have to go to the designers site, copy the URL, go to the PrintFriendly site, paste the URL, then download a PDF verdion of the page. If the actual instructions are on the AllFree Site, PrintFriendly wongt work at all … but case is to cut and paste into a word ptocessing program. All of this takes so much time away from the actual learning and sewing. It might be nice to allow PDF files to be created of the patterns, tutorials, instructions QUICKLY so the balance of time saved could be literally spent on crafting (buying supplies, etc). I sew lots but not clothes for adults. I have only made a few and half were maternity dresses. Still learning so good to read everyone else’s tips. I was educated in fashion design and one of the best things to suggest is to get yourself measured professionally like at a bridal shop or a tailor. The packaged patterns are not one size fits all and will need adjustments. It helps to take your measurements and make a mock garment in muslin to use for reference. When ever I have made something really important, Wedding Dress, Prom Dress, Brides maids etc. I always make my adjusted pattern up in a very inexpensive fabric first. This was really helpful when my daughter wanted to combine multiple pattern styles in her wedding dress. 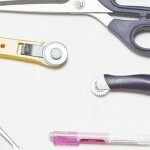 The old and known ” measure twice – cut once” is also true for your sizing. Thank you! I learned from a French lady tailor who made a pair of wool slacks for me to match a blazer that it is necessary to not only measure hips but to measure 6″ down from your waistline. She forgot to do that when she took my measurements and had to remake the slacks. Being new to garment sewing I love reading everyone’s comments/suggestions. Right now I have limited my garment making to kilts. Accurate measuring is very important. I hope to expand to other items in time. Thank you for your great emails. Always be sure to leave enough “ease” when you’re sewing so your garment won’t be too tight. The first step I do is to measure the body in all parts including back torso, inner legs for pants, etc. The next step after choosing the pattern is to check the sizing chart to see which is closest to your size. On a pattern there may be some adjustments that need to be made like darts for ex. I would use muslin fabric to cut out a pattern for a certain form of your body like chest for example rather than do the whole thing. This will help you to adjust and see the outcome for a result. I made myself the duct tape form. Still working on perfecting my sewing and just getting into knits. Spent years with the sewing machine in the closet – now using it again and enjoying it! Generally when using a pants/shorts pattern, I have to lengthen the stride in the back and somethings shorten it a bit in the front, tapering the two together at the side seams. This makes the garment fit over my rump without looking bulky in the front. Enjoy the process. Remember that it may not turn out exactly as you dreamed, but may be close. As an older and rounder fellow, I consider almost any garment that fits like a pair of quality pyjamas – a GOOD FIT! The last thing I want is a shirt or pants to hug my form – which is a 360 degree turnabout from my attitude 50 years ago when I had a form anyone wanted to hug. The only exception to actual “fitting” I require is an accommodation for my rounded shoulders which pull T-shirts, etc., back against my throat unless I add in about 2-3 inches to the back. My favourite fabrics include fleece, flannel and almost anything that includes spandex! Hi. I’m still a beginner but love all the patterns and tips I get from your site. The biggest lesson I’ve learned is to read through my pattern instructions first, before beginning and to measure twice before cutting! Thank you for the opportunity to win this lovely prize! Love to try a Barnina to repat my cloths and make quilts for my mom. My advice to those who sew is always begin and work on your measuring when you have time to do so. Do not rush this very important step. 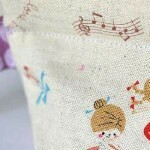 All sewing steps should proceed only when you are relaxed and in the mood for this activity. enjoy! Use a garment of similar type that you know fits well as a constant reference point for fitting. Love this blog! 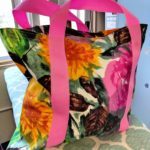 I have been sewing for 63 years, and still am learning new techniques. It’s a wonderful skill to have! 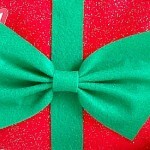 It has provided me with many happy moments, whether sewing for my family, my home, myself or for gifts. 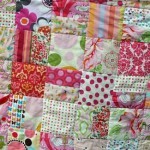 It has also led me into quilting – another wonderful pastime! It’s my happy place! I am new at sewing, so I have no tips, but thanks for sharing all of yours! My fitting tip is to measure yourself twice, adjust the pattern, and make a mockup anyway. I have found that adjusting the mockup and transferring the changes to the pattern saves time on future uses. I think the advice on deciding what fabric to use is important!! I try to imagine myself wearing the finished garment – getting in and out of the car, reaching up to get something on a high shelf, standing up after sitting behind a desk – and then imagine how the fabric will perform during those various tasks. Would cotton with no stretch pull across the shoulder? Would linen tend to wrinkle in unflattering places? Would the fabric cling to other fabrics inappropriately? Fabric choice is key to getting the kind of fit you want from the garment! I too make a muslin of the pattern each time I try a different style of dress, pants, shirt. I can alter the fit “as I see Fit”. I have had very good luck with this procedure. Also, I use this idea for when I make something for another person. I have no tips – except maybe get a good mentor, or a really patient friend to help. I’m still new to dressmaking. I would love to learn to customize a pattern to accomodate my quirky body parts! Thick arms (think wings–thanks grandma, I’ll never wear sleeveless again! ), thick middle, and short. I adapt all sleeves to be longer, but with my big bust (44 F bra) sometimes the sleeve holes seem to pull and not fit right. My sizing tip, measure yourself and make a muslin sample. This way I could adjust where I need to. I find it hard to sew for myself because I don’t have a skilled helper to pin and adjust, but I think the key for me is multiple measurings throughout the project. Try it on several times after many steps, if not each. When measuring a woman, it’s also important to measure bust size in addition to chest size. That will help determine bra cup size and make fitting your pattern to your exact measurements. Also, for me, and for many others, I’m sure, measuring the circumference of your arm is helpful when making sleeves. Some patterns, the sleeves are too small to fit. I find this with ready-made garments all the time. The bodice may fit, but I have to get a larger size to accommodate my upper arms. I would also suggest that you make the sleeve to fit the larger arm. Thanks for all your sewing tips. I used to be a fairly good seamstress, but over the years, I’ve lost a lot of skill. I made my first dress wen I was 10, with my mothers help. fast forward 55 years and I am stilll sewing for myself and others. However, as we all know, store bought size 10 is about a size 14 in patterns! these hints and tips are so very helpful. I have printed them and will set them next to my cutting table and will measure, measure, measure! !